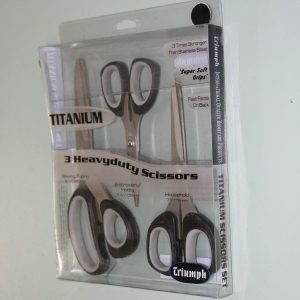 Set of 3 heavy duty titanium scissors. Titanium is 3 times stringer than stainless steel. They also have super soft grips. 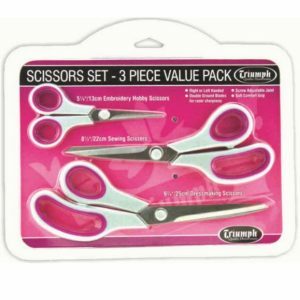 Set consists of Sewing/Fabric Scissors, Embroidery/Hobby Scissors and Household Scissors. Sizes are 210mm, 133mm and 178mm. 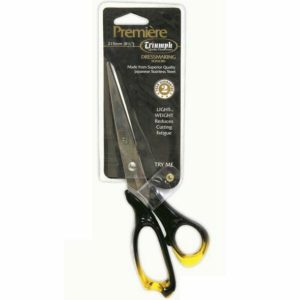 Triumph 9.75″ comfort grip scissors heavy duty 3mm ultra sharp double ground serrated stainless steel blade. 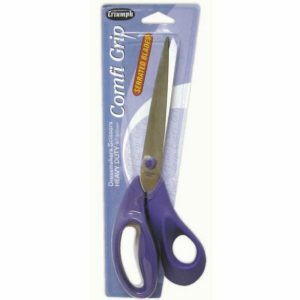 These soft grip scissors have an inlayed soft grip, fully moulded handles. 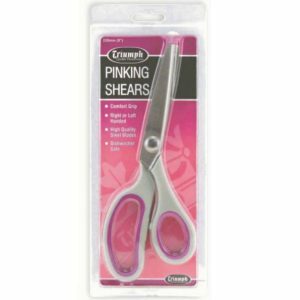 The blades are corrosion-resistant stainless steel and finely ground with a knife edge for smooth cutting and long lasting sharpness. 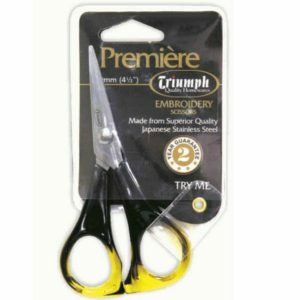 These Truimph Embroidery scissors are make from superior quality Japanese stainless steel. They have a 2 year guarantee. 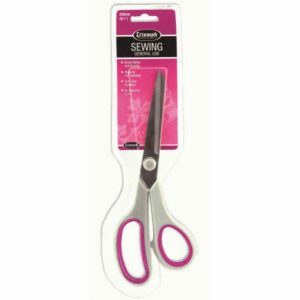 These embroidery scissors are have a double ground tip for accurate cutting. Light weight reduces cutting fatigue. 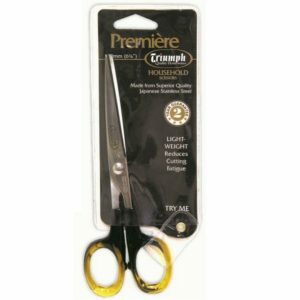 These Truimph Scissors are make from superior quality Japanese stainless steel. They have a 2 year guarantee and are Light weight, reducing cutting fatigue. 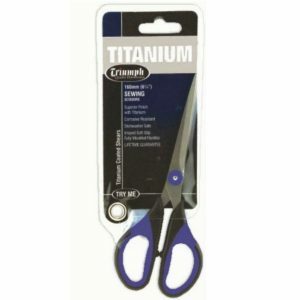 Black and blue handled titanium coated comfort grip shears. These are dishwasher safe and have a lifetime guarantee. 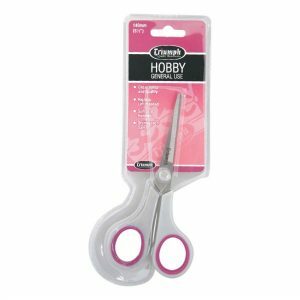 These soft grip General Use Hobby Scissors are great value and quality. They are right or left handed and are dishwasher safe. 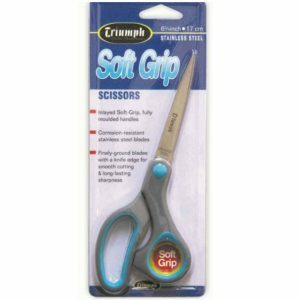 These Soft Grip General Use Sewing Scissors are great value and quality. They are right or left handed and are dishwasher safe. 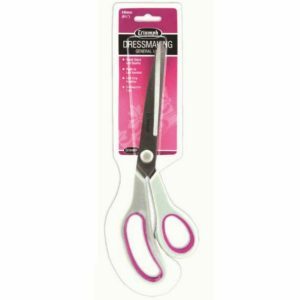 These Soft Grip General Use Dressmaking Scissors are great value and quality. They are right or left handed and are dishwasher safe.